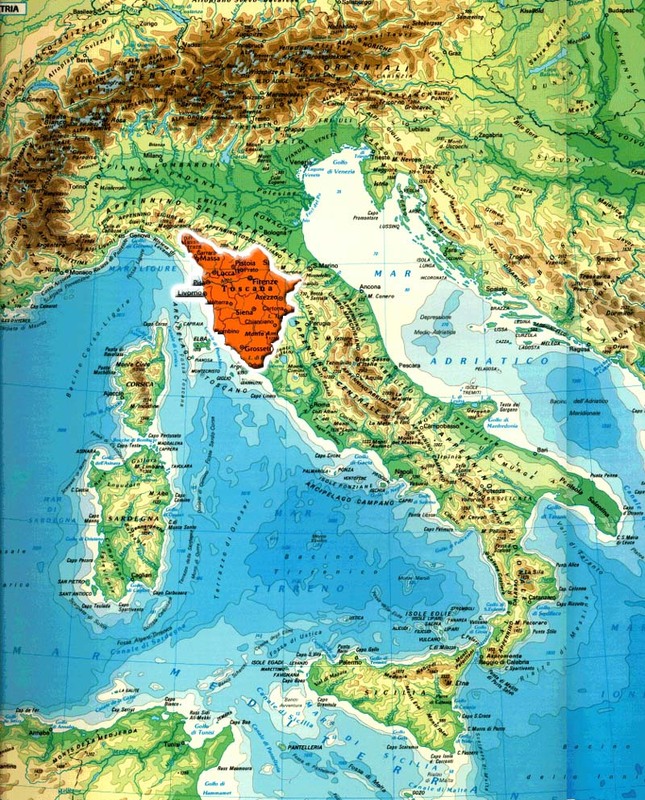 Until 1928 known as Bagni di Montecatini, and from 1927 part of the province of Pistoia. The curative virtues of its waters were recongnized and appreciated already in the XIV century and in 1417 Doctor Ugolino Simoni, founder of the italian hydrology, illustrated in a treatise the therapeutic properties. 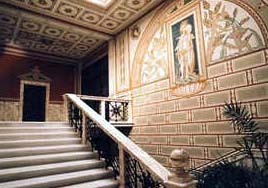 The thermal establishments are a must while visiting Montecatini. 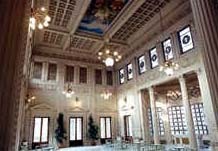 In addition to experiencing the benefial properties of the water and mud-baths, the architecture of the buildings offers an important and suggestive example of the Liberty style that charcterizes the city. Not to miss, for example, are the Terme Leopoldine, built during the second half of the 18th century, transformed and enlarged in 1926 by the Florentine architect Ugo Giovannozzi, knwon als for the reconstruction of other city establishments. Located next the Leopoldine is another modern establishment, "Grocco", equipped with thermal pools. 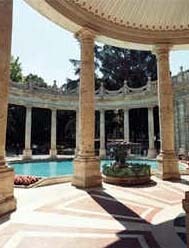 Following the Liberty itinerary one finds the "Tamerici" surrounded by a large park with interiors decorated by Galileo Chini; the 19th century "Terme Torretta" enriched in 1904 by a suggestive portico in NeoReanissance style, and the Excelsior. Built in the beginning of the 20th century, this last was enlarged and reconstructed toward the end of the 60's and today host the new "Centro Benessere" (health center) where along with the traditional cures (idropinica, mud-bath, balneoterapia, idromassaggi) one can enjoy the services offered by the beauty farm. Among all of the thermal structures however the "Tettuccio" stands out representing an authentic symbol of Montecatini, built in the age of Grand-ducal and reconstructed in 1925 by the Architect Giovanozzi who wanted to creat a thermal city immersed in green. Next to the splendid Liberty decorations, at the interior of Tettuccio, one should not miss seeing the contemporary "Salone Portoghesi". 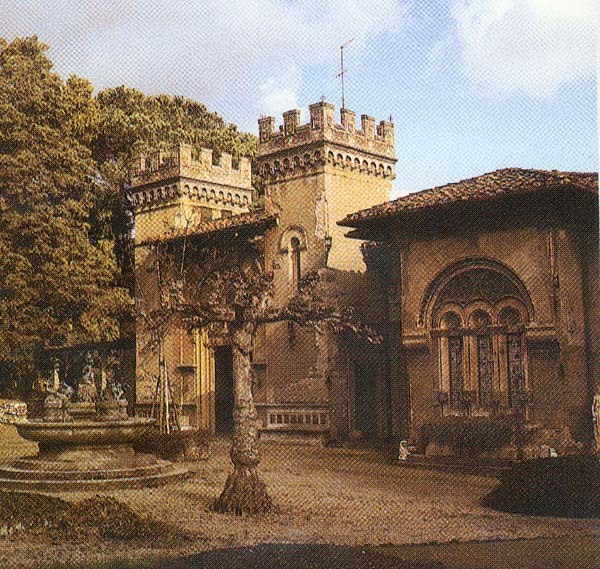 Created by the same Giovannozzi the "Terme Regina" are found in the park that sorrounds the establishment and the Academy of art Dino Scalabrino is located in the outskirts, hosting operas of art of Dalì, Mirò, Annigoni, Guttuso, Viani and many others. A stroll along Viale Verdi and along the adjacent streets reveals other pearls of the Liberty style in the city: the portico of Caffé Gambrinus, the Cinema Excelsior, the Kursaal Complex and the Theatre Politeama. The accommodation facilities are excellent: 250 hotels, with total of 15.000 beds, dance halls, restaurants, elegants gardens and beautiful parks (500.000 m2).